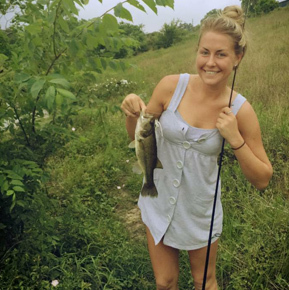 Each of these Individuals displays love and passion for the outdoors and in one way or another take great pride in the hunting and or fishing world. It’s what they love to do. It’s how they like to spend their free time. They are all Wilderness Freaks. None of these people came to me. I approached them so they could help represent the Wilderness Freaks clothing, products and life style. These chosen few are part of the Wilderness Freaks Family. I appreciate their efforts. Are you interested in becoming part of the Wilderness Freaks? My name is Kaitlyn Jackson. I am from Rifle, Colorado and I am 14 years old and a freshman at Coal Ridge high school. Besides hunting and fishing, my other passion and love is softball! I started hunting and fishing with my family as early as I can remember. One of the many reasons I love to hunt and fish is because of the time and memories I have with my family. I love getting up before the sun rises and feeling all the excitement in the air before my big hunt. The adrenaline I feel while walking through the woods and coming up on an animal to shoot is amazing. The feel of the trigger and the rush of blood I hear when I shoot is a feeling you can't get from anything else. I love the pride I feel when I am giving my family high-fives after my animal is down! When I Initially started fishing, I was just killing time with a good friend. I had no idea it would eventually become a life-long passion & semi – career pursuit. You see, the fishing bug doesn’t just nip you immediately it happens very gradually. All I know is that one day I came home and looked at my multiple tackle boxes and various fishing rods & realized it was my calling. It was like I blacked out for 5 months & woke up, Anyway, what I am trying to say is that I love fishing and it fills voids I never knew I had. Fishing calms the soul & I love it so much. Natalie Cepeniuk is 27years old from Picton New South Wales Australia. She started riding horses at age 12 and her passion became a business in 2009. She has rehabilitated and helped over 100 horses and rescued & re-homed over 100 dogs. In 2012 she rode equestrian in China for Australia, opening a new city 'Ordos'. 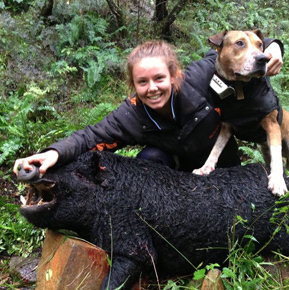 As well as working with animals, Natalie is well known in the hunting world for the eradication of feral pigs. 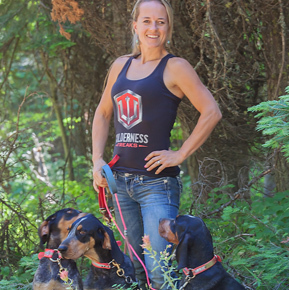 Natalie has trained her own hunting dogs & given them a new life out of the pound. She currently has a page on social media reaching thousands of people daily. Natalie has been offered to promote 2 clothing lines, one from Melbourne Australia and one from America. She has also been offered to promote dog hunting gear from America. At an early age, Natalie stared in many tv commercials, series, catwalks and magazines. 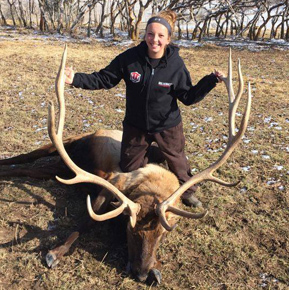 Natalie wants to promote professional conservation hunting. I am 26 years old, born and still living in New London, NH. 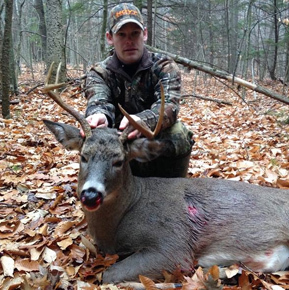 I first started hunting with my dad and some of his college friends in northern VT, which if were actually about the deer hunting instead of the social aspect, we probably would not continue to go. Its now considered a successful trip just to see a deer. My passion is bow hunting for whitetails but will absolutely pick up the rifle in November. I also enjoy bear and turkey hunting as well. 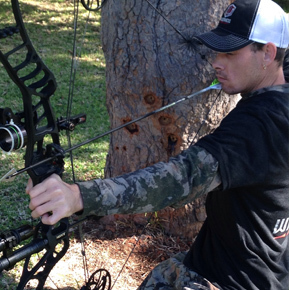 I am always ready and looking for ways to make myself a better hunter and enjoy learning anything about the outdoors. In my spare time I like to get in on the beer league softball in the summer and during the winter, it's great to get the snowboard over to Mt. Sunapee. Jessica Hunt, a native of New Hampshire, has lived in Idaho for 19 years. She’s been married to her husband Tim for 11 years, and he is the one whom has taught her all she knows about the outdoors and hunting. Growing up in the backcountry of Idaho hunting with his dad since around age 2, Tim has passed that passion on to Jess and their kids. Tim and Jess have a pack of hounds that they spend most of their weekends hunting bear and mountain lion with. Rarely harvesting (unless it’s a male, and HUGE), Jess spends a lot of time taking photos for her business, Broken H Photography which can be seen published nationally. Jess is also a Lifestyle, Health and Fitness coach. Jess’ favorite rifle is a .260 Remington for deer, and an 8x57 Mauser, both of which her husband custom built for her. She also shoots a PSE bow, and hopes to harvest her first animal with it in 2016, but she claims she has a hard time being quiet enough to spot and stalk! Jess loves to hunt bear, primarily because she loves to watch their hounds work, but dreams of a high-scoring bull elk to hang on their wall. Their four children ages 12, 10, 8 and 3 are already incredible houndsmen and have been hunting since around 5 months old in a backpack! She’s excited for the 2015 season as her two eldest drew cow elk tags and will be hunting for their first time! I've been an outdoorsman my whole life. I started shooting a bow when I was three, and have been addicted ever since. 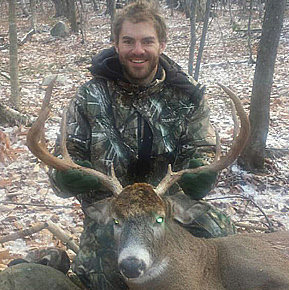 I've had great success over the years bow hunting various game all over the country. I started with traditional archery, shooting a recurve, then a longbow. One of my proudest moments was killing a bull moose with a longbow. A few years later I switched to a compound, which I'm currently obsessed with. Archery/Bow hunting is my true passion and I've been very fortunate to have made it my career as well. Bow hunting to me is not just a hobby or a sport, it's a passion, a need, a lifestyle. I eat, sleep and breathe it. I'm addicted, I'm obsessed, I'm a freak!! My name is Robert Scott. I'm 32 years old and from Melbourne Victoria, Australia. I have always been interested in Hunting from a very young age, since around 6 years old, when my mum moved us all from Melbourne to a small country called Beauford. And so while living in Beauford that's where my love for Hunting came out . As I started school I soon made many friends and funny enough one kid I remember, his name was Jason. He lived on some land with his dad. His dad went out every weekend to go out hunting for rabbits and foxes, at that time he was using a rifle. One afternoon I was asked if I would like to tag along with him and go hunting. I was so excited and I ended up knowing a lot more about hunting after that first hunting trip. After that I was always asking Jason's dad if I could come with him every weekend. That's when I new that's what I wanted to get into. One day I was on facebook and just going through people to add and I come across this guy named Jason Frechette. He had a great profile picture, he was standing behind a bear he had just shot with a compound bow, so of course I sent him a friend request, he looked like a top bloke. As for the future for me, I'm shooting my new 2015 Hoyt everyday, getting in as much practice as I can, as I would love to go over to the United States, Africa, Alaska, anywhere really you can hunt and to have that experience of hunting different animals.